Two sports that could not be more extreme to each other─balletic synchronized swimming and bombastic professional wrestling─share an ugly health peril: dangerous head injuries. Interest groups in both are taking steps to better protect athletes, including through litigation in the civil justice system. Although many fans long may have winked about whether shenanigans in the wrestling ring are faked, pro wrestling does require its stars to engage in athletic moves, many of which subjected them to concussions and long-term neurologic damage, dozens of participant-plaintiffs have asserted in a lawsuit filed against World Wrestling Entertainment Inc., the pro league best known as the WWE. The one-time wrestling pros, ages 34 to 84, assert that WWE knew of the health risks, especially of head injuries it subjected its performers to, and that it failed to provide adequate safety, protection, and care, leaving many stars with sustained cognitive and other harms. 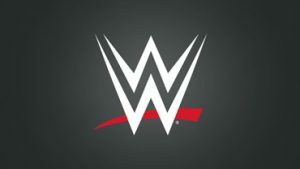 A ‘carnival’ culture permeated WWE, and the closely-held company promoted risky moves in the ring, fraudulently concealed concussion risks and gave inadequate medical treatment to wrestlers designated as independent contractors to avoid federal labor laws…The wrestlers also allege Stamford, Conn.-based WWE and its chairman, Vincent McMahon, violated federal racketeering laws in operating the company. Reports indicate that this suit now puts the WWE in the company of the National Football League and the National Hockey League, as well as the NCAA, in being forced to confront the dangers of their sports to their athletes. I’ve written recently and previously how poorly leagues and sports organizations, particularly the NFL, have responded to this growing crisis. I’ve also noted that it affects amateurs, as well as pros, and poses special problems for young athletes. That’s because of the added developmental harms boys and girls can suffer in head injuries and because they’re under such intense and varied pressures with sports now plays such an out-sized role in kids’ lives. Because injuries in “synchro” occur out of audience view, they can go undetected, unless athletes report them. They’re loath to do so because it may sideline them from an activity for which they train intensely. This also is a resolutely team sport, so injured athletes may feel they are letting teammates down or they will lose close friends and connections if they’re out for care and recovery, which can take a long time. Synchro organizations, coaches, and athletes are trying to spread the word about head injury harms, to ensure they’re detected and treated, and to discuss ways that they can be minimized.